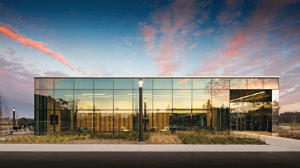 Revealed within the newly-opened doors of Minnesota’s Bell Museum is much more than simply Minnesota’s largest and sole public planetarium. Having undergone an extensive $79 million renovation, it now boasts North America’s first, state-of-the-art, ‘seamless’ dome planetarium: The Whitney and Elizabeth MacMillan Planetarium, powered by Digital Projection’s INSIGHT Dual Laser 4K projection system. 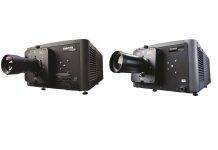 Digital Projection’s INSIGHT Dual Laser 4K has become an industry staple of the planetarium design roadmap due to its true 4K resolution, super bright 27,000 lumens and 20,000 hours of dependable laser phosphor illumination. Offering superior image quality from a long lasting light source with minimal running costs, it offers an unbeatable package at a very low overall cost. The renovation, run by the University of Minnesota’s Capital Planning and Project Management, combines two originally separate entities: The James Ford Bell Museum of Natural History, which had outgrown its 1940’s building within which all its historic dioramas and scientific collections were housed; and the Minneapolis Planetarium, which was demolished in 2002. Sweden-based digital planetarium solution provider, Sciss AB, won the competitive bid for the project with one of its two proposals: the successful Digital Projection laser 4K solution. The planetarium’s intention was to pair its cutting-edge technology with the University of Minnesota’s latest data research and produce data visualisations that span the arts and sciences – taking audiences from the far reaches of the universe to deep inside the human brain. That cutting-edge specification called for a 4K, dual projector system that reflected 2.0 ft. lambert of brightness straight back off the dome of 45% reflectivity, whilst projecting white at full power. The successful solution required more than 10M unique pixels on the dome and less than or equal to 3.0 average arc minutes per pixel, as well as a native contrast ratio of 2000:1 and brightness at 5,000 Lux per projector. 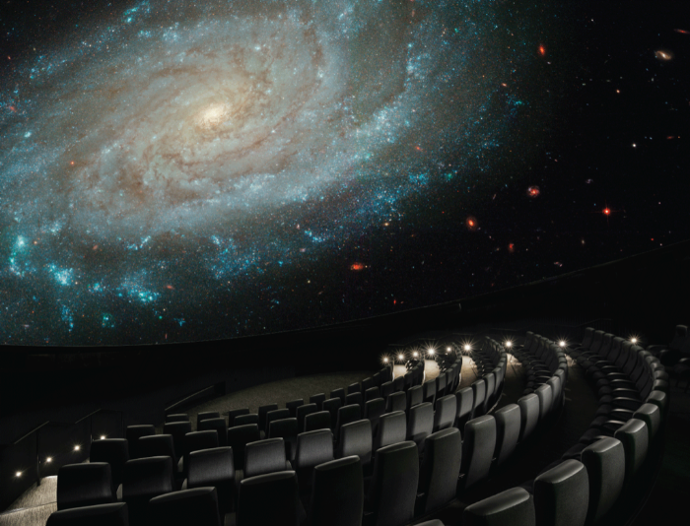 The installed solution for the 16-metre, 120-seat planetarium features an Astro-Tec Ulteria Seam Dome onto which Digital Projection’s INSIGHT Dual Laser 4K projectors delivers real-time rendering and full-dome videos, custom-created for the planetarium, using Uniview software and ColorSpace Theatre Control. 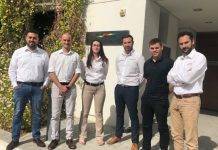 The installation itself was very straightforward, according to Tetu, who was delighted to be able to introduce further cost savings to the customer. 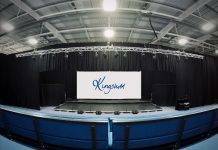 Due to the Digital Production INSIGHT Dual Laser 4K projection solution’s ability to drive a 4K 60p signal over a single cable, where other models require two or even four cables to support the same signal, a significant cost reduction associated with extenders and cables was applied.